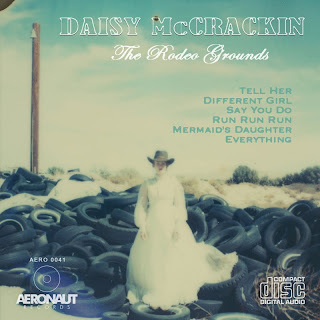 Last month Daisy McCrackin released her debut EP, The Rodeo Grounds. It's been p laying on my media player of choice since I got it. For those who haven't heard it yet, The Rodeo Grounds is a stunning and poetic bit of folk art. Her vocals are sincere and throughout the record, there's a shyness in her delivery. "Different Girl" and "Run Run Run" are standouts for me though the whole record is a gem. McCrackin is currently finishing up a promotional tour of Europe before heading back to the States for dates here. In the meantime, check out her newest video below. It's for the song "Everything," the EP's closing track. It was animated by her friends Dani Katz and Steven Synstelien.